Synopsis: Britney is the cheerleading captain of the Pacific Vista Pirates. But then her father gets fired and they have to move to Crenshaw Heights. She swore to her old team that she would never cheer again. But she has no place to fit in on her new school - except for the squad. My Opinion: This movie is soo bad, there are no words for it. The only reason for buying it was Hayden Panettiere (Claire in Heroes ["Save the cheerleader, save the world!"]). But her acting is so over the top, it's as if Ecstasy had taken Ecstasy. But like a train wreck one can't stop watching. My Opinion: This is a geek fest par excellence, no doubt about it. Every other sentence contains a reference to the trilogy, either as direct quote or in the spirit. When you know the movies by heart it's very easy to predict what they are going to say, but that just means that you are as geeky as they are. But the movie has also a lot of sentimental scenes that are similar to those in Be Kind Rewind and they are very well placed to interrupt the geek fest without destroying its spirit. But the most astounding thing about this movie and watching the guys on their journey is that you forget how bad Episode I really was. Sounds like you can recommend this movie. I may have to order it some day after all. It's like the "Death Star" discussion in Clerks stretched to 90 minutes. 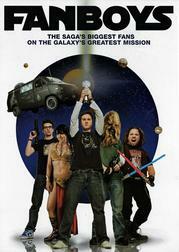 I'd say you have to be a geek to enjoy this movie. If you want to laugh about the guys, it's not that funny, you have to want to laugh with the guys. When they finally open Lucas' security vault (of course protected by a blast door) you feel the awe when they discover one of the original R2s or Indy's hat. Synopsis: It's 1987 and Jenna has her 13th birthday. But it ends in disaster and she wishes nothing more than to be 30. And then her wish gets granted. When she awakes it's 2004 and she's Jennifer Garner and editor of the glamour magazine "Poise". But she's still 13 and she finds herself in a world where everything is different and - most importantly - where she's different. My Opinion: Jennifer Garner is a great 13-year-old. It's funny to watch her react to things like a small girl would react. I also liked the fact that it turned out to be her that sold the front cover topics to their competitor and not Tom-Tom/Lucy because that would have been too obvious. What I didn't care much about was Mark Ruffalo, I have nothing against the actor, I just don't care about him in any of his movies. 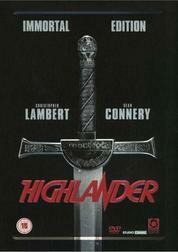 Synopsis: Connor MacLeod of the clan MacLeod was born more than 450 years ago in the highlands of Scotland. He's immortal and he's not alone. Only a severed neck can kill him, when the stroke of a sword will release the power of the Quickening. Now the time of the Gathering has come, where only a few of them are still alive and they will fight for the Prize. In the end, there can be only one. My Opinion: Love the first Highlander movie as well as the TV show, especially since I love sword fights and japanese Katanas. I love this whole Immortal mythology where guys like Ramirez have been walking over the Earth for more than 2400 years (or Methos in the TV show, with more than 5000 years the oldest known Immortal). And Queen's soundtrack to this movie is superb. A lot of famous songs came out of it ("Princes of the Universe", "Who Wants to Live Forever", "A Kind of Magic"). What I found funny was that the french-american Lambert played the scottish MacLeod while the scottish Connery played an Egyptian in the service of the spanish king. Synopsis: In 1967 the (east german) parents of the twins Tim and Ronny are killed in a car crash. Tim gets adopted and grows up in Bremen where he becomes a tennis player who is about to go to college in Florida. But one sunny day in 1985 changes everything. His school class goes on a day trip into the "Zone" and suddenly Tim stands face to face with his brother - a brother he didn't know he had. But when it's time to return home his brother knocks him out and takes his place. Suddenly Tim finds himself stuck in East Germany - and of course every one assumes that he's Ronny. 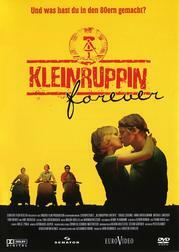 My Opinion: This movie manages to show the life in the GDR frighteningly accurate. All the tiny details you can only spot if you have lived there but also the big picture with the banners and the attitude of the people who have positions of power. But it's also a good romance movie about a guy who wants to go home badly (and of course runs into trouble with the Stasi) and the local girl who hasn't known any other live than this. Sounds interesting. How does it compare with The Lives of Others? And I see, that Niko and Daniel from "Mein Leben und ich" have supporting roles. Sorry, I've never seen that one. Well you need to put that right! I thought you had because I remembered a discussion about it, but it can't have been with you. I know Matthias was involved; maybe you came in on the back of it. Synopsis: July 2nd. Aliens come to Earth but they don't bring Elvis back. Instead they blow up the usual suspects (L.A., NYC and Washington D.C.). July 3rd. We take all our CGI F18s but these bastards have shields that can withstand a nuke. Dammit! 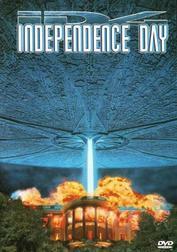 July 4th. Aliens seem to use an operating system programmed by Microsoft since it is vulnerable to viruses written on an Apple notebook. A nuke under the banner of Jolly Roger takes care of the rest. My Opinion: This time I decided to watch the theatrical cut again and I actually noticed (most? all?) the missing parts and I think they give this film a bit more depth (But what is depth in a puddle? ). It's still a very enjoyable film if you want to stress your subwoofer. The logic in this movie is as missing as in the Transformers movies but the jokes are not as mundane as the pee jokes. Until I read the name I never noticed that Jasmine was Vernita Green from Kill Bill. And I liked to see Mary McDonnell (President Roslin in Battlestar Galactica) and Margaret Colin (Eleanor Waldorf in Gossip Girl) again. Synopsis: Lt. "Maverick" Mitchell - a slightly maniac F-14 pilot - and his RIO Lt. "Goose" Bradshaw have been accepted into the United States Navy Fighter Weapons School - more commonly known as "Top Gun". There they will learn the finer arts of aerial dogfighting. That is, if they don't get thrown out due to Maverick's behaviour. 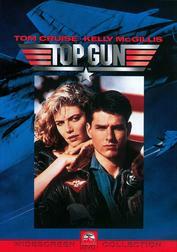 And the competition is hard, Top Gun accepts only the best pilots to begin with. My Opinion: This movie has incredible flying scenes even after all these years. No crappy CGI but real planes flying in real air. And a great soundtrack, too. Ironically I haven't seen that movie that often but I seem to know it by heart due to the many parodies on many scenes of that movie. And while I recognized Adrian Pasdar (Nathan Petrelli in Heroes) at once, it took me a while to recognize Goose as Dr. Greene from ER. Too bad, that there aren't more good airplane combat movies out there.